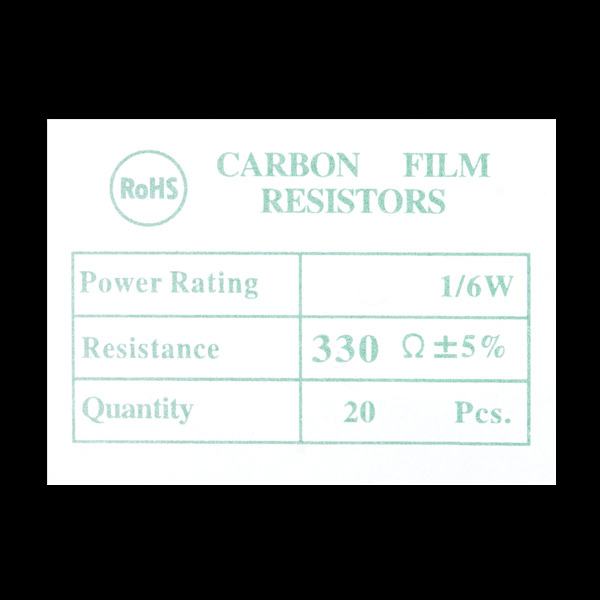 1/6 Watt, +/- 5% tolerance PTH resistors. 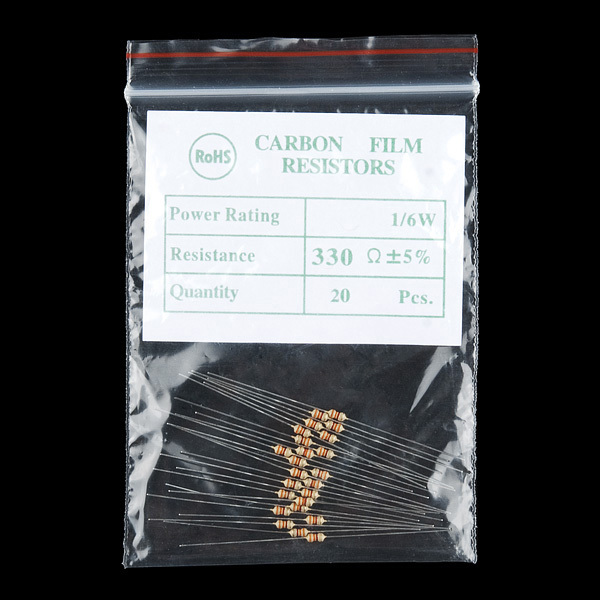 Commonly used in breadboards and perf boards, these 330Ohm resistors make excellent LED current limiters and are great for general use. We've opted for a new and more breadboard-friendly lead thickness (they're a bit thicker than our last ones). Just in case there aren't the right amount. These are physically the same size as typical 1/8W resistors (body length is 0.2", overall length is 2"), and have a lead diameter of 0.015" (tiny!). 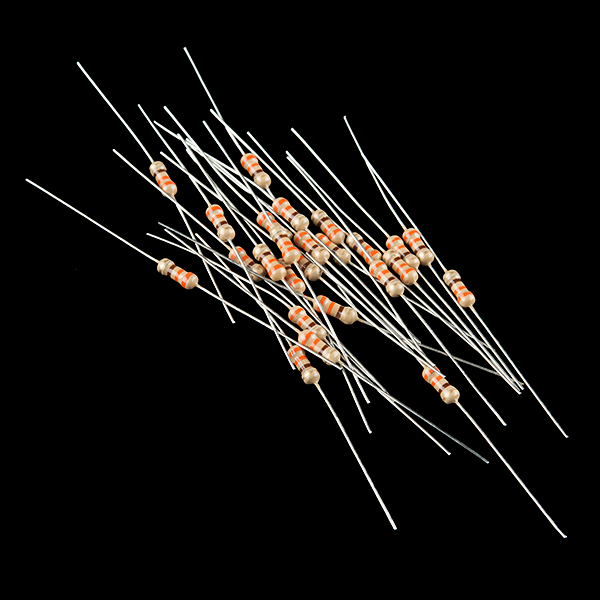 These little resistors are perfect as current limiting resistors for standard LEDs in a 5v system. I keep a 20 pack w/ my LEDs so I don't have to dig through all my resistors when I'm hooking up LEDs! These resistors were exactly what I needed and I didn't have to buy a huge assortment to get them.